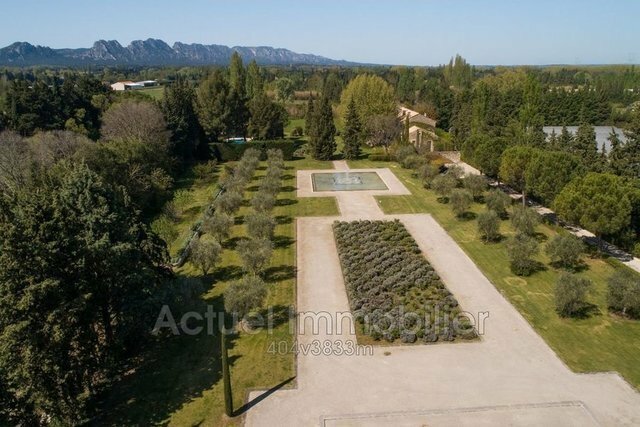 Between Alpilles and Luberon, 5 mn's drive from the centre of Eygalieres, superb Property offering volumes and comfort on 2.8 ha. Renovated in the rules of the art with high quality materials, this beautiful 18°c stone Mas today offers more than 500 sqm with a Friend's House. Beautiful reception rooms with fireplace and high ceilings, wide open on a large terrace shaded by beautiful plane trees and the park, 6 vast bedrooms and 5 bathrooms. In complete harmony with the Mas, a superb landscaped park offers several spaces: a superb relaxation area with a 12 m / 6 heated swimming pool and pool house, a bassin with water jets inviting to walk among the olive trees, petanque ... Fruit and meadow ... All the values of Provence are waiting for you in this superb property !